Your capital is at risk and investments are not covered by the Financial Services Compensation Scheme (FSCS). You can lose all the money you invested but nothing more. Is equity crowdfunding a regulated activity? What are the main risks associated with equity crowdfunding? Could I lose more than the amount invested? How much return could I expect on my investment? Will people be able to see if I invested? I am domiciled outside of the UK and EU, can I invest? How am I categorised as a "client" for regulatory purposes? Can I cancel my investment offer? What do we do about conflicts of interest? How do I make a Subject Access Request (SAR)? What is your Best Execution policy? Investing in early stage companies such as Polonia VC involves risks, including loss of capital, illiquidity, lack of dividends and dilution, and it should be done only as part of a diversified portfolio. Investing with Polonia VC is only for investors who understand these risks. You will only be able to invest once you have met our conditions for becoming a registered member. This page has been approved as a financial promotion by Share In Ltd ("ShareIn"), which is authorised and regulated by the Financial Conduct Authority (603332). Pitches for investment are not offers to the public and investments can only be made by registered investors on the basis of information provided by the company concerned. ShareIn takes no responsibility for this information or for any recommendations or opinions made by the company. 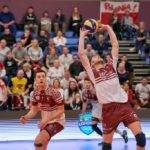 © 2019 IBB Polonia London Volleyball Club. All Rights Reserved.